14 January 2019, The U.S. Rail Infrastructure Market is projected to reach USD 5.93 billion by 2025. The market is expected to witness a lucrative growth on account of increasing population and demographics in this country. United States is becoming an urbanized country and it is anticipated that it will cover larger network of metropolitan areas. Growing population and effective investment in transportation infrastructure is anticipated to add rail Infrastructure market growth over the forecast period. According to U.S. Department of Transportation, Federal Railroad Administration, U.S. rail industry consist of 140,000 rail miles operated by class 1 railroads, 510 local railroads, and 21 regional railroads. Industry also provides 221,000 jobs across United States and also offers various public benefits such as highway fatalities, logistics cost, greenhouse gases and fuel consumption, reduction in road congestion, and public infrastructure maintenance cost. Rising passenger volume, increasing number of rail routes and network, rolling infrastructure and stock, growing awareness regarding passenger rail is anticipated to boost the U.S. rail infrastructure market over the forecast period. Increasing invest to modernize and expand the capacity of the rail and to purchase the equipment is anticipated to add U.S. rail infrastructure market over the forecast period. However, growing dominance from automobiles and airplanes is anticipated to be the key restraint for U.S. Rail Infrastructure Market. Railroads are continuously developing and researching high tech innovations to enhance rail operations which in turn is expected to add market growth. 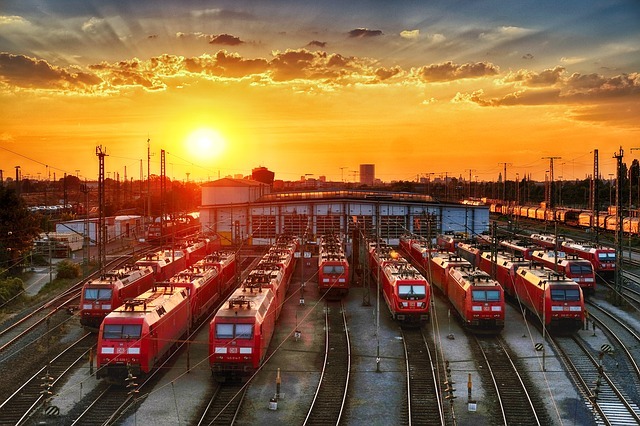 Growing investment in locomotives, freight cars, computer equipment, highway equipment, and other equipment is anticipated to add U.S. rail infrastructure market growth over the forecast period. According to American Public Transportation Association, in 2016, number of light rail passengers in 14 United States cities grew by an average of 4.3%, whereas Houston, New Orleans, Baltimore, Seattle, and Phoenix showed nearly double-digit growth. Increasing problems related to traffic congestion as well as parking capacities had led parliaments and many city administrations to rediscover the advantage of mass transit. As a result, there are cities in United States that especially seeking to make neighborhoods around rail stations more attractive and others making less crowded areas more attractive by providing new rail lines. Increasing investment on rail infrastructure is expected to boost the market over the forecast period. According to U.S. Department of Commerce, U.S. freight operators invested over 600 billion dollars from 1980 to 2015 for the maintenance and expansion of train fleets and rail infrastructure. Rail infrastructure industry in United States is consolidated in nature with limited number of industries operating in this country accounted for most of the market shares. Some of the well-known players in this industry include National Railroad Passenger Corporation, BNSF Railway Company, Norfolk Southern Corp, The Kansas City Southern Railway Company, and Union Pacific Railroad Company. In addition, approval of light rail extension projects in this country is expected to add market growth over the forecast period. For instance, in November 2017, Massachusetts Bay Transportation Authority approved build and design agreement for Boston’s green line light rail extension. 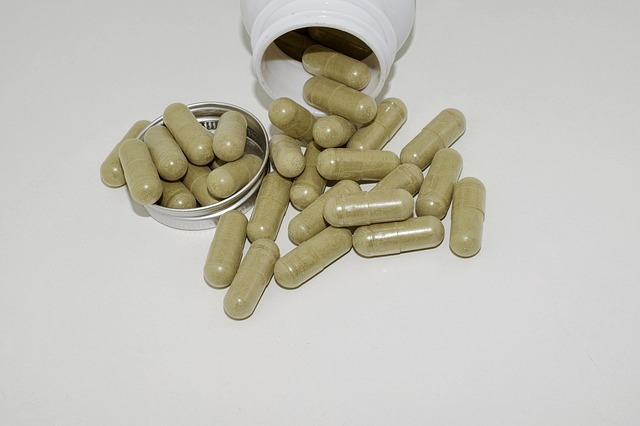 14 January 2019, U.S. Online Dietary Supplements Market is expected to be valued at USD 12.5 billion by 2025. Ageing population is one of the factor expected to drive the growth of dietary supplements over the forecast period. As of 2016, about 70 - 74 million baby boomer lives in the U.S. Baby boomer are expected to spend money on healthcare and realign market, which is projected to create growth opportunity for the market. TV line-ups, magazine stands and new article reveled that, many Americans have appetite for information related to the preventive healthcare. Presence of online medium such livestrong.com, celebrity doctors and margins such Men’s health and Fit dispense information pertaining to the health, lifestyle and new product. Thus, such information’s are expected to drive the market over the forecast period. Various factors contributes to accomplishment in sport activities and diet is one of the main component. Sport persons dietary requirement depends on various aspect, including sport which athlete plays, sport environment, dietary requirement, and athlete’s goal. Increasing trend of muscle building and rising interest in wellness activities is expected to fuel the demand for dietary supplements in the foreseeable future. Recreational athletes account for a maximum U.S. population is projected to driving the demand for dietary supplements with minerals and vitamins. Furthermore, percentage of people connecting with sports and leisure activities is increasing which is expected to have positive impact on market growth. Substantial scope for consumption coupled with swelling ageing population is driving the demand for supplementary diet. Millennials population is growing in the U.S and by the 2019, millennials population is projected to be more than baby boomers. Millennial population are more health conscious. Increasing health expenditure towards physique building and rising interest in wellness will provide industry growth. Swelling number of grownup will remain to be a topmost source of vitamin and supplement demand. 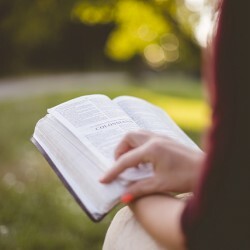 For instance, according to U.S. Census Bureau, Millennials, population of people with the age range 20 - 35 accounts for nearly 70 million in the year 2016. However, Baby boomers, population of people with the age range 50 - 70 accounts for nearly 75 million in the year 2016. Availability of proteins, minerals and vitamins in variety of categories and packaging is driving the online sale of supplementary diet products. At present, different nutritional products with different flavors are available for each type of workout. For instance, nutrition for pre-workouts, post-workouts, and intra workouts. New strategy of implementing country tag on domestically made products are likely to boost the sales in the country. For instance, consumers are most likely to buy the products with “Made in the U.S.” tag. Key players in U.S. online dietary supplements includes. 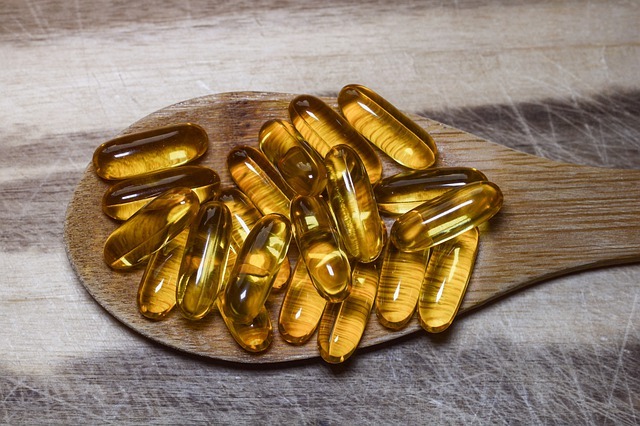 11 January 2019, the global Omega 3 Supplements Market size is expected to reach a value of USD 57.06 billion by 2025. It is anticipated to expand at a CAGR of over 6.0% during the forecast period. The market is majorly driven by exponential demand for dietary supplements from developed and developing economies. Increasing awareness regarding weight loss, balanced diet, and daily calorie monitoring are the key growth drivers. Furthermore, rising consciousness regarding the importance of omega 3 supplements owing to high prevalence of heart diseases within emerging economies such as China and India is expected to drive demand for omega 3 supplements in near future. In India, heart diseases is one of the top causes of mortality, accounting for 1.7 million deaths in 2017, which is more than 53% from 2005. Additionally, Chronic Obstructive Pulmonary Disease (COPD) caused 848,000 deaths in 2016, up by 22.7% compared to 2005. Such an increase in prevalence of heart diseases is expected to drive demand for dietary supplements propelling market for omega 3 supplements. Rising cases of chronic diseases are expected to have a positive impact on the omega 3 supplement market. According to the World Health Organization (WHO), over 14 million people between the age of 30 to 70 die every year due to various chronic diseases. Rising government support and initiatives for affordable pharmaceutical drugs is expected to propel demand for omega 3 based pharmaceuticals in the forthcoming years. Increasing obesity coupled with enhanced healthcare infrastructure in developing nations such as China, India, South Africa, and Brazil is expected to drive product demand over the forecast period. Rising consumer willingness to pay for costly nutraceuticals and supplements owing to health concerns is anticipated to propel the market for omega 3 supplements. The market is highly competitive in nature with manufacturers looking to develop low cost products to fulfil rising demand from emerging economies. Asia Pacific is expected to emerge as the fastest growing market for omega 3 supplements. Japan is one of the largest sardine fishing countries, which is expected to propel regional growth in near future. The region accounted for approximately 37% of market share in terms of revenue in 2016 and is expected to expand at a CAGR of over 10% by 2025. Increasing population in China and India is projected to drive regional demand for infant formulas. In addition, demand for packaged baby nutrition formulas owing to growing percentage of working women coupled with rising disposable income of parents is anticipated to augment regional market over the forecast period. Major players in the omega 3 supplements market are concentrating on new product development and business expansion to improve their share within the global market. Manufacturers are concentrating on developing application-specific products to reach untapped markets. Additionally, they are collaborating with other companies to create new opportunities for their existing products. Majority of companies are vertically integrated in the production of fish and krill oil for omega 3 fatty acid and its supplements. This scenario provides the companies with an enhanced product portfolio accounting for increased sales. In addition, companies are involved in the production of advanced omega3 supplements for multiple health problems such as heart diseases, skin and hair care, and joint problems among others. For instance, since 2016, Golden Omega, an operating unit of Corpesca S.A. which is the largest seafood exporter of Latin America; has started its own fish oil manufacturing plant to derive specialty omega 3 products. The company is majorly focusing on U.S., Japan, Korea, China, and European Union (EU). Vital Choice Wild Seafood & Organics, SPC. 11 January 2019, India Personal Hygiene Market is expected to reach USD 5.3 billion by 2025 owing to the rising demand from younger generation, increasing consumer disposable income and variants availability in market. The increasing spending power of middle class consumers is driving the personal hygiene market. Moreover, Millennials account for about one third of India’s population and more than one third of work force. The increasing inclination of millennials towards better and hygienic lifestyle is resulting in demand for premium hygiene products. Thus, manufacturers are launching products ranges of premium products, for instance, Fresh Deodorant Spicy Black Series by Fog is a premium mass product. The natural products are gaining importance owing to the increasing environmental awareness. The manufacturers are introducing personal hygiene products made out of natural ingredients. Handmade bar soaps are gaining popularity over the past few years such as, Khadi neem and Tulsi soap. For instance, Medimix a flagship brand of AVA group is one of the most popular brand of handmade soap in India. The health-conscious consumers are looking for chemical free products to maintain their hygiene. Thus, manufacturers are introducing ammonia and alcohol-free products in the market. For instance, NIVEA Fresh Natural Deodorant Roll-on is alcohol free product that provides long lasting freshness with minimum sweating. Numerous variants for single product is expected to drive the personal hygiene market in future. For instance, anti-perspirants comes in various forms such as roll-ons or sticks and sprays in numerous scent. Traditionally the personal hygiene products were either for unisex or more focused on women. 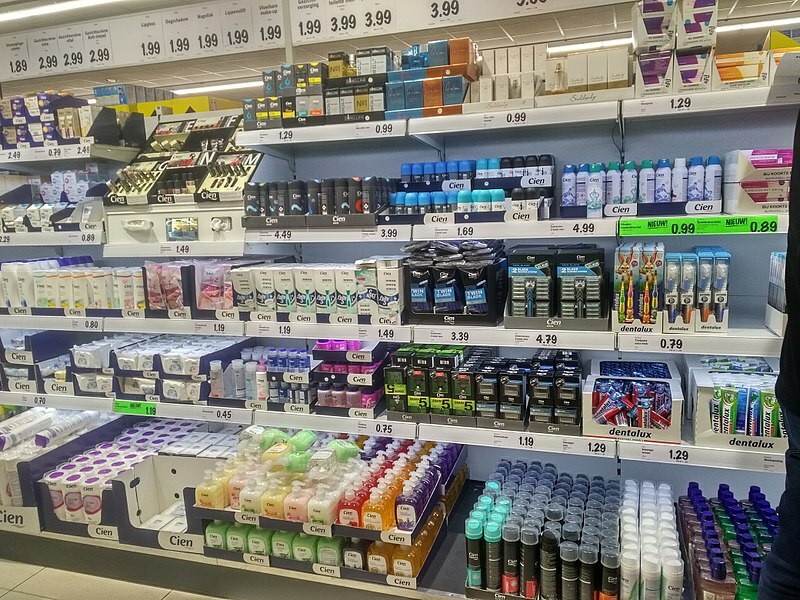 As the men personal hygiene had greater potential of growth, the manufacturers launched products related to men hygiene needs in past few years and is expected to drive the personal hygiene market in future. For instance, Axe Dark temptation shower gel for men from Hindustan Unilever, Nivea Vitality Fresh shower gel for men provides hydration coupled with unique fragrance. The increase in adoption of men hygiene products is expected to drive the personal hygiene market. With the advancement in technology coupled with high penetration of smart devices such as smart phones and tabs is expected to drive the online distribution platforms. Availability of premium personal hygiene products, imported professional and natural hygiene products at discounted prices are expected to result in a noticeable proliferation of online distribution channels among the consumers. Online beauty retail platforms such as Nykaa and Purplle have emerged as the popular ecommerce beauty shopping sites that offer a wide range of hygiene products among other beauty and personal hygiene products. However, offline channel is the dominant segment and expected to remain same over the forecast period owing to the presence of numerous organized and unorganized players in the market such as D Mart, Big bazar and others. The retail sector is fragmented with presence of numerous convenience stores in India. 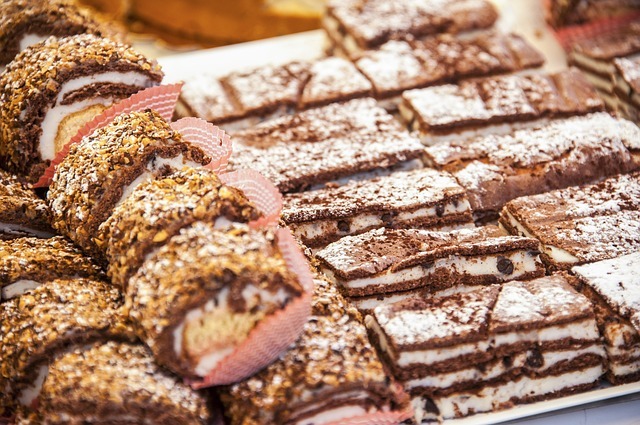 8 January 2019, The Italy Confectionery Market is expected to reach USD 6.44 billion by 2025 as a result of increasing demand from consumers owing to the rising in disposable income. The confectionery market has witnessed stagnant growth over the past few years owing to the rise in health concerns to avoid sugar and recession. The economic recovery is expected to slowly increase the demand of confectionery over the forecast period. Increasing health awareness among the consumers is expected to drive the healthy eating habits. Thus, manufacturers are launching products to fulfill the requirements of consumer. For instance, dark chocolate nutrition bars and 100% cocoa products are being launched in the market. The chocolate is considered as a daily snack and has accounted for the largest market share of in 2016 and is expected to remain do over the forecast period as well. This is attributed to the added benefits to the chocolate such as exotic fruits, nuts and nutrients. Thus, helping consumers to fulfill the daily nutritional intake. The busy lifestyle of consumers is expected to augment the growth of on the go nutritional chocolate bars, which is expected to aid in growth of the confectionery market over the forecast period. Increasing health awareness coupled with the detrimental effects of excess consumption of sugar has affected the growth of sugar confectionery market. Thus, manufacturers of sugar confectioneries are launching organic products with health benefits. For instance, the Golia from Perfetti Van Melle is focusing on offering herbal and medicated products to the health conscious products. Gum is expected to be the fastest growing segment over the forecast period owing to new health beneficial product development from the manufacturers. Moreover, the increasing environmental awareness is expected to drive the need for green label products. Thus, products with ethical sourcing and sustainability practices is anticipated to drive the confectionery growth in future. The market is characterized by the presence of well-established players such as Ferrero and Nestle. Increasing penetration and availability of foreign brands is projected to drive the confectionery sector further. Increase in promotion activities of such healthy confectioneries in retail is expected to increase in sale of confectionery over the study period. 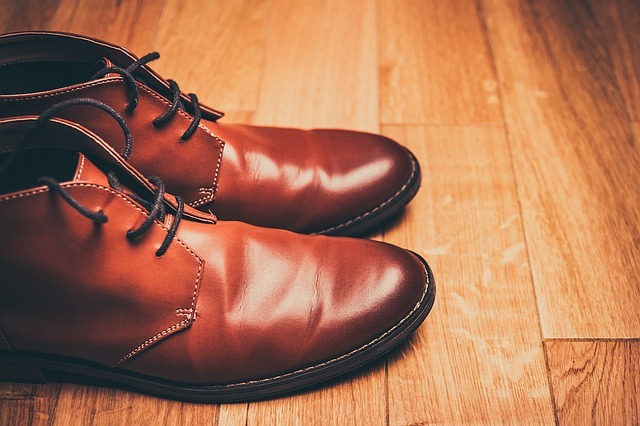 8 January 2019, Netherlands Footwear Market is expected to be valued at USD 2.49 Billion by 2025, driven by an increase in the demand more stylish and good quality products. Growth in consumption pattern, strong improvement in labour market coupled with increasing presence of online retailers in the country is expected to increase the sales of footwear through online channels over the projected period. According to the data from 2011, the Netherlands has approximately 15.4 million - 15.9 million internet users, which represents 92% - 94% of the total population which in turn is expected to have positive impact on online channel. 8 January 2019, Germany Frozen Food Market is expected to reach USD 15.77 billion by 2024 and is anticipated to grow over the forecast period as well. 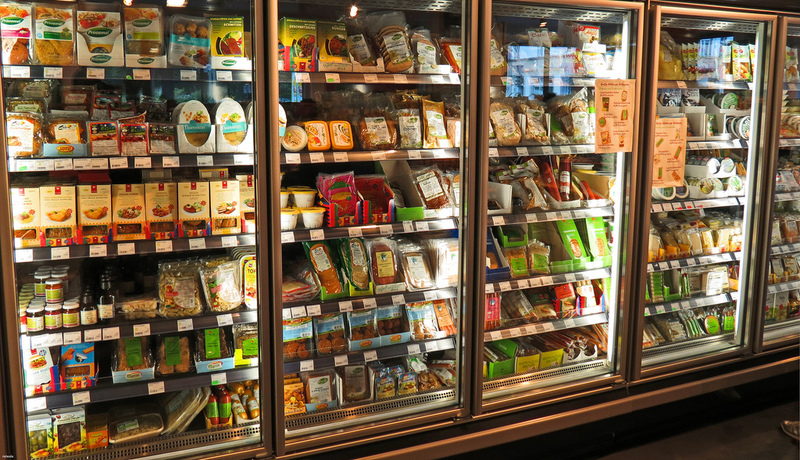 Increasing popularity of seasonal frozen food among the young German consumer is the key factor driving the growth of this food products over the forecast period. Frozen food products are easy to cook and are healthy. Improvement in preservation technology has helped in maintaining nutrient and vitamins. In addition, frozen foods can be stored for longer period without preservatives owing to the sophisticated cold storage technology. According to German Frozen Food Institute, almost 17,000 different products are available in Germany and strong credentials to freshness, convenience and value makes frozen food popular among consumers. The frozen bakery products accounted for the largest market share in 2016. Increasing offering of high quality of frozen bakery products in combination and customizable solution are the factors driving the growth of frozen bakery product category in Germany. Frozen pizza is expected to grow at a fastest CAGR owing to the increasing demand for fast food in the region. Furthermore, increased in clean label and launched of vegetarian pizza is expected have opposite impact on market growth in the near future. Free from gluten and lactose trend can be seen increasing in the market. Many companies are focusing on adding values and variants to their product offering. Furthermore, consumer show lasting interest in traditional food. Thus, exciting trend for frozen food products which use regional recipes and, with the usage of locally made raw products is expected increase in foreseeable future. Offline distribution channel dominated the frozen food market in 2016. According to a study conducted by one of the German institute, about 34 times German consumer visit frozen food section in supermarket yearly. While offline channel remains dominant, online channel is anticipated to register a fast growth over the forecast period. Convenience factor and availability of discounts and wide variety of purchase options are some of the factors driving the growth of online retail channel. Leading companies in this market are adopting brownfield expansion strategy to sustain in competitive environment and expand their presence in the market. For instance, in 2013, Nestlé Wagner opened a new frozen pizza manufacturing facility in Germany in order to expand its product portfolio to cater increasing demand of frozen pizza and to strengthen its market position in the market. 26 December 2018, the global Surfactants Market is expected to witness steady growth over the coming years. Surfactants are popularly employed in the manufacturing of personal care products, which include laundry detergents, soaps, facial cleansers, and shower gels. Rise in living standards and increasing consumer awareness have spurred the personal care industry. They are also used in the production of fabric detergents as well as those used for dishwashing. They also find industrial applications in the form of hard surface cleaners. 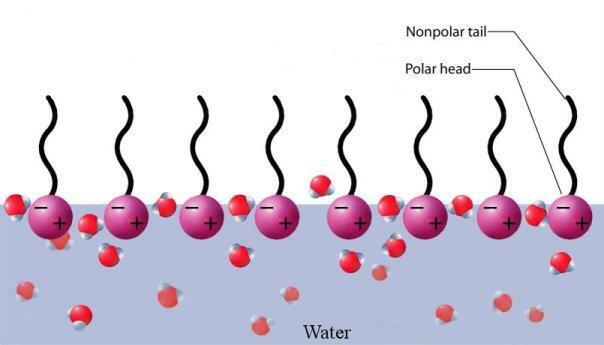 Surfactant agents are mostly readily soluble in water and have good foaming properties. These superior characteristics make them effective cleaning agents, which is expected to drive the global market. Growing focus on personal hygiene has resulted in increased demand for several personal care products as well as laundry detergents on a daily basis. Increase in adoption of washing machines across Asia Pacific, mainly China and India, has significantly contributed toward regional growth and the trend is expected to continue in future. For the longest time, silicone oil or linear alkyl benzene were the primary surfactants used across several industries. However, concerns over the impact of these products on the environment, in the form of harmful waste generation and noxious chemical release, restrained their usage. Rising consumer awareness regard Production of biosurfactants as a more sustainable and environment-friendly alternative is gaining speed as they are greener in nature and do not lead to undesirable byproducts such as ethylene oxide and nitrogen. These products are expected to drive the global surfactant market over the forecast period. Biosurfactants have majorly found applications in the crude oil extraction industry. They are used to remove petroleum from polluted sites and to improve oil production by microbial enhanced oil recovery method (MEOR). The European Chemicals Agency looks after the evaluation and authorization of chemicals. Strict government regulations act as a barrier to overall market growth. Local governing bodies are imposing strict laws to safeguard the environment and organizations face the challenge of modifying their production line to meet these rules and regulations. The production of green cleansing agents is rather costly and therefore, market for the same is not as lucrative in low-income countries. On the other hand, growing usage of eco-friendly products means the market for synthetic variants is likely to take a hit. Research is on to develop synthetic cleaning agents with biodegradable properties. This is sure to provide several opportunities to the market. Based on chemical composition, surfactants can be cationic, anionic, nonionic, and amphoteric. Anionic agents such as linear alkyl benzene are most widely used. Nonionic agents are expected to witness slow growth on account of easy availability of substitutes. Key applications of surfactants include personal care, industrial cleaners, household detergents, and agricultural chemicals. Regionally, Asia Pacific is one of the leading markets and this trend is expected to continue in future. China has reported the highest product demand in the past, followed by Japan. Both countries, in addition to India, are projected to offer tremendous growth opportunities owing to increase in disposable income and improving consumer lifestyle. Cleaning agents used in manufacturing units are also expected to positively influence the overall industry in the region. Demand in North America, U.K., and South America is mainly owing to high usage in personal care. Strict government regulations and increasing consumer awareness have contributed to the green products market in these regions. Africa is expected to exhibit relatively slower growth over the forecast period on account of low disposable incomes and availability and usage of cheaper alternatives. Key players in the global surfactants market include DuPont, Dow Chemicals Company, Shanghai Fine Chemicals, Henkel, BASF, and LG Household & Health Care. Other prominent vendors include Croda, Huntsman, Clariant, Fenchem, and SpechChem. Major customers in the market are mainly FMCG manufacturers. They include Unilever, P&G, JohnsonDiversey, Ecolab, and Reckitt Benckiser. Manufacturers try to establish long-lasting relationships with these major players to help them achieve economies of scale. Manufacturers have been observed undertaking several strategies such as innovation and expansion to optimize costs. 22 November 2018, the global Helideck Monitoring System Market size is projected to reach USD 257.1 million by 2025. Growing need for digitalization of ships to gather weather forecasting and real-time data required during pre-flight planning is expected to drive market over the forecast period. In addition, government initiatives and increased spending on shipbuilding by manufacturers is expected to create potential opportunity for system manufacturers and components suppliers. 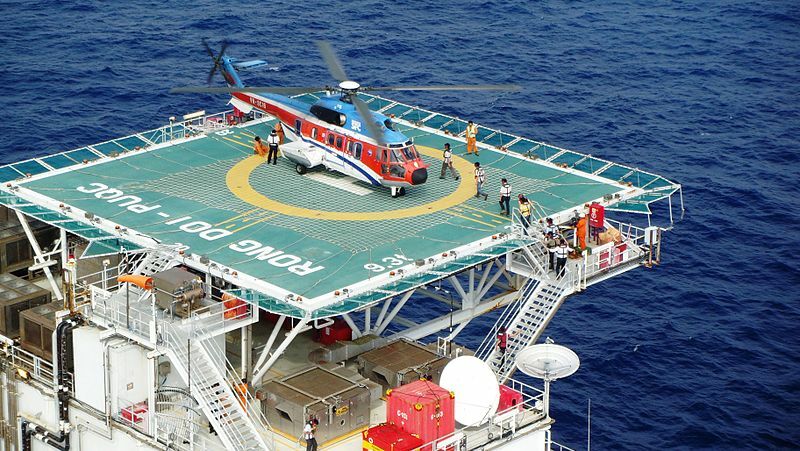 Helideck monitoring systems are extensively used in offshore oil and gas rigs. Increasing offshore production and trade of oil and gas is expected to promote their adoption. Complete, timely, and accurate meteorological observations to support efficient and safe helicopter operations will also spur growth in the market. Hardware systems dominated the market in 2017. Motion sensors, meteorological sensors, and weather sensors are replaced or repaired frequently, which adds to the demand for helideck monitoring systems. Presence of large number of component suppliers is also expected to propel market growth over the forecast period. On the other hand, software segment is expected to grow steadily over the forecast period. In terms of end-use application, commercial deployments dominated helideck monitoring system market in 2017 and is expected to continue leading over the forecast period. Increasing offshore oil and gas exploration projects is expected to provide growth opportunity in near future. 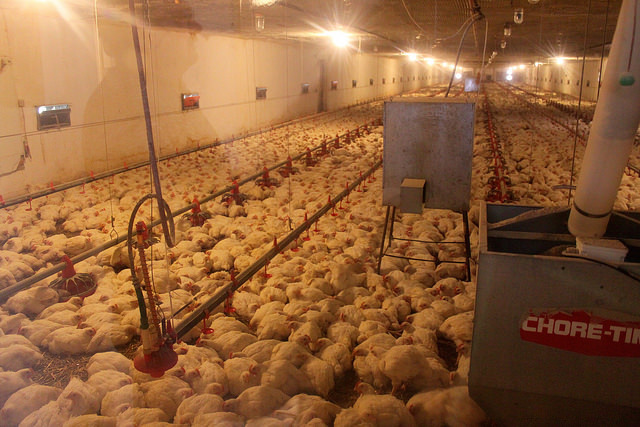 22 November 2018, the global LED Lighting in Poultry Farming Market size is projected to reach USD 505.0 million by 2025. The ability of LED lighting to accurately and efficiently imitate the sunlight has augmented its demand in poultry farming. Moreover, continuous development in energy-saving capabilities and durability is expected to fuel market growth. In addition, rising awareness regarding the benefits of LED lighting in poultry is expected to drive demand over the forecast period. 22 November 2018, The U.S. Fiber Optic Market size is expected to reach USD 3.56 billion by 2025. This growth is attributed to increasing demand from widespread applications owing to its high quality, cost-effectiveness, durability, and scalability over the past few years. This has introduced potential opportunities in passive telecommunication infrastructures, such as fixed line cabling, data centers and communication towers. Institutional investors are lured by reliable returns and long-term contracts with telecom operators, thus, aiding the U.S. fiber optic market. Key factors affecting the future competitiveness of the U.S. fiber optics industry include access to foreign markets and ability of the industry to develop new technologies. The emergence of a digital economy has driven the market over the past decade. High penetration of the Internet and wireless communication has led to a rise in demand for broadband transmission capacity in recent years. This, in turn, has boosted demand for optic fiber. Constant developments in Internet connectivity has simplified day-to-day lives; big data technology is one such development contributing to market expansion. The adoption rate of fiber optic connection in various end-use applications in North America is approximately 8.4% and is expected to increase over the forecast period. This growth is attributed to government initiatives to connect to underserved areas. Fiber optics are also used in military and satellite remote sensing operations, which is also likely to boost their demand. Moreover, increasing scope of application in the medical sector, such as in laser delivery system, equipment interconnects, and light conductors, is also slated to drive the market over the next few years. Traditionally, these materials were commonly used for light therapy, clinical diagnostics, ophthalmic laser, x-ray imaging, endoscopy, microscopy, and others. Fiber sensing technology is widely used in the oil and gas sector and is expected to grow at a significant rate during the next few years. Safety and efficient production has become an essential part of offshore and onshore oil and gas operations. Optical fibers, which can withstand high temperature/pressure and harsh environments, are suitable for such applications. Thus, manufacturers are launching efficient and durable products targeting specific industries. For instance, Furukawa Company provides a fully distributed sensor with fibers such as graded and single mode. Increasing deployment of optical fibers as sensing elements in non-transmission applications in various industries is expected to drive the market in the coming years. Industrial use is expected to be the fastest-growing segment over the forecast period. 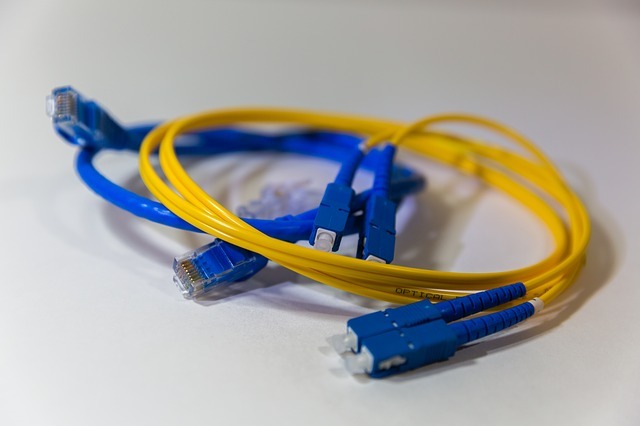 The cable installers segment held the largest market share owing to high adoption of optic fibers in offices and house/building connectivity. The innovative and popular concept of smart homes is also expected to drive the fiber optic market in the coming years. • The Furukawa Electric Co. Ltd.
22 November 2018, The U.S. Electronic Goods Recycling Market size is expected to reach USD 15.23 billion by 2025. Factors such as rapid industrialization, increasing demand for automobiles and consumer electronics, and growing need to manage proper utilization of natural resources are expected to propel demand for electronic goods recycling over the forthcoming years. According to the Institute of Scrap Recycling Industries (ISRI), approximately 4.5 million tons of electronic waste (e-waste) is recycled in U.S. every year. Electronic goods recycling refers to conversion of electronic scrap into useful raw material. This helps maximize natural resources and minimize harmful impact on the environment resulting from e-waste. Usage of electronic gadgets has grown considerably over the past decade or so, transforming the speed and quality of communication, information gathering, and entertainment. 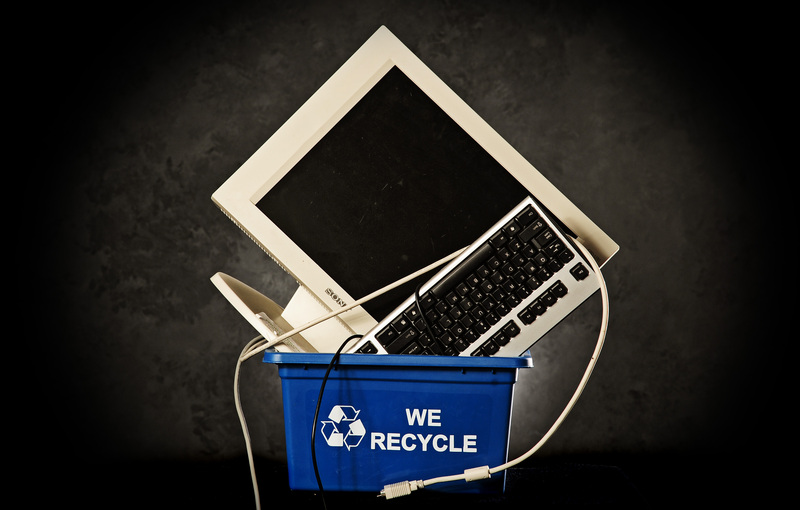 The U.S. government is supporting the recycling industry by donating used electronic products, which can be converted into valuable products. Key vendors operating in the market include Ultimate Electronic Recycling Inc.; American Iron & Electronic Goods; Armco Electronic Goods Holdings, Inc.; Commercial Electronic Goods Company. Existence of many companies is projected to improve market revenue in future. Moreover, increasing need for proper utilization of limited natural resources is expected to open up several opportunities for market players over the forthcoming years. Companies functioning in the market are involved in collecting, processing, and recycling industry scrap and distributing it to various gadget-manufacturing companies. Key market players are concentrating on research and development activities to expand recycling process and reduce cost and time involved during reprocessing of electronic goods. • Ultimate Electronic Recycling Inc.
• Armco Electronic Goods Holdings, Inc.
22 November 2018, U.S. Valve Market is expected to be valued at USD 36.20 billion by 2025, driven mainly by growing demand from oil & gas industry. Rising need of automation from manufacturing and processing industries is driving the demand for predictive monitoring and maintenance. These devices are the most common and indispensable device of our current technology that controls the flow of a fluid. 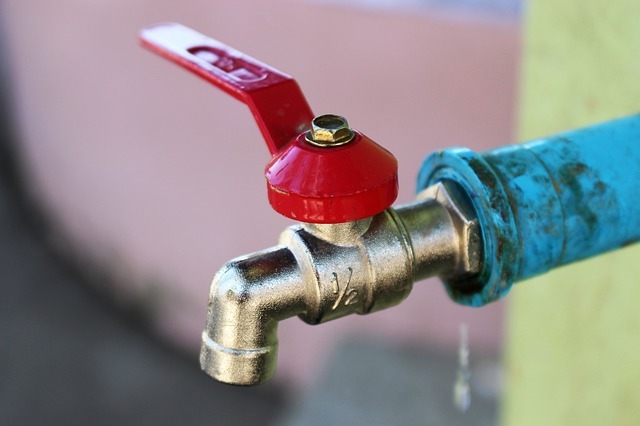 The U.S. government is investing in conservation of water owing to the rising urban population and demand form manufacturing sector. Thus, Municipal Corporation are focusing on water & waste water treatment to meet increasing demand, which in turn is expected to boost the market for over the projected period. In the year 2016, U.S. chemical industry remained the top consumer of the industrial segment, followed by power generation and water & sewage management. Although, huge quantity is deployed in oil & gas, American Navy and Merchant Marines accounted for the maximum use. In the last few years, the market has shown growth in terms of types and sizes. Valves are available in wide variety of materials, including carbon steel, stainless steel, cast iron, ductile iron, brass and aluminum. Increasing oil & gas industry in U.S is expected to drive the demand over the forecast period. The U.S. is one of the largest producer and consumer of oil in the world. To meet increasing demand form end-use sector, oil producer in the country are investing in EOR techniques, which in turn is expected to fuel the demand in the country over the projected period. For instance, custom-engineered valves of large diameters are used in oil pipelines. More is the manufacturing output, more will be the gains. This gain is further likely to uplift the market owing to the intensive use of faucets and spigots in chemical industry. Construction market is expected to post strongest rise in the demand, where growing spending on both, residential and nonresidential sector, will drive the demand in the U.S. market. Profits of the valve market in U.S. is totally dependent on the performance of the end-use industries that utilize this device. These devices are widely used to control the flow of material in the manufacturing and other industry. Their use varies depending on application and so does the use of material require in manufacturing these devices. It’s hard to process the right type of material in the formation of valve, hence, the process becomes time consuming and critical. Key players involved in this market, includes Emerson Electric Co., Parker Hannifin, Valtorc International USA, Kennedy Valve Co., Balon Corporation, Powell Valves, M&H Valve, and McWane. 21 November 2018, The U.S. Coffee Franchise Market is expected to reach USD 13.96 billion by 2025 as a result of increasing demand from consumers owing to the increased disposable income. Coffee is the most commonly consumed beverage in U.S. According to the Specialty Coffee Association of America. Coffee related economic activity consist of about 1.6% of the total U.S. GDP (gross domestic product). The facts published by National geographic states that more than 80% of American people drink coffee. The increasing demand for coffee consumption is expected to drive the U.S. coffee franchise market over the forecast period. 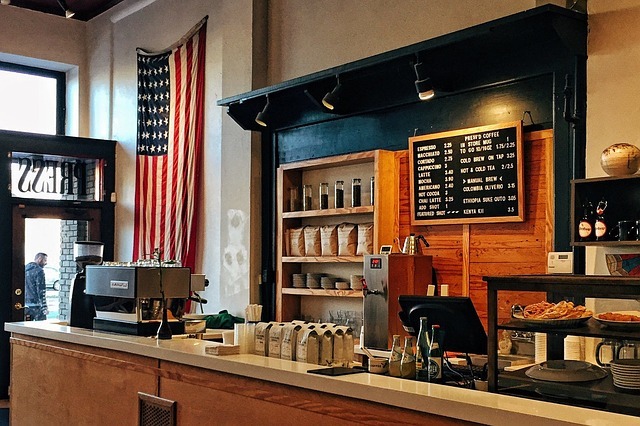 Furthermore, U.S. coffee franchise industry is competitive in nature as a result coffee franchisee are developing their identity through various different strategies to appeal the customers. Today customers are seeking for value addition and this have led to the evolution of coffee culture. For instance, Maui Wowi a Hawaii based company is all about its Aloha spirit and offer customers a loyalty program called ‘Surf Club”. Once customers enroll themselves they get various discounts, coupons, custom apparels, and other benefits. The franchisee Coffee Beanery follows a bolted approach with its focus on product quality as its culture. Its motto ‘coffee people who care’ and are transparent about their coffee production process detailed. The coffee franchises have various revenue sources beyond coffee. They offer various food items such as smoothies, soufflé, breakfast and lunch items and others. Some also sell ground or whole coffee beans for consumption at home. For instance, Dunn Brothers along with coffee also offers Tea & chocolate, fruit smoothie, customized breakfast sandwich, acai bowl, belgian waffle breakfast sandwich, belgian waffle trio, oatmeal, sandwiches, wraps, salads and other. Thus, such wide variety of food options and its easy availability at coffee chains have resulted in the high revenue growth of these U.S. coffee franchisees over the past few years. The increasing health awareness among the U.S. consumers is also expected to drive the U.S. coffee franchise market in future. The recent studies conducted on the effects of coffee are helping spread the health’s benefits which result with moderate consumption of coffee. Coffee naturally has more than 1000 complex botanical compounds in it. It also includes some strong antioxidants which is expected to result in following benefits mainly, prevents from lever disease, improves memory, increases athletic endurances, and reduces risk of type 2 diabetes. Thus, the U.S. dietary guidelines recently recommended coffee as a part of healthy lifestyle which is a major drive for the development and expansion of U.S. coffee franchise industry. Moreover, the coffee franchises ambience has gained popularity over the past decade and has evolved significantly since then. Initially the décor and feel of U.S. coffee shops gained popularity among the Italian immigrants. The coffee chains today have developed modern and quirky styles and have retained the purpose of social interactions and gatherings. For instance, the classic rock coffee retains its laid back, take a nap and read a book type coffee shop. Another such coffee shop is the Rock n Joe coffee bar that position itself with a cool place for people who love music, quality food, and exceptional love for coffee and trendy environment. Thus, the innovative concepts are expected to drive the coffee franchise market in future. The increasing concept of coffee on the go is gaining popularity in the U.S. Thus, people are seeking options to have coffee delivered to their home or workplaces. And thus, mobile franchise coffee business is expected to further drive the coffee franchise market in future. • Dunn Bros Coffee Franchising, Inc.
21 November 2018, The U.S. Jewellery and Watches Market is expected to be worth USD9.73 billion by 2025. The rising employment, and changing fashion trends in the country is anticipated to boost the growth of the market over the upcoming years. Additionally, growing consumer demand for discretionary products is possibly to have positive impact on the jewellery and watches market. Rising per capita income and increasing women’s spending on accessories and beautification products is projected to surge the revenues for U.S. jewellery and watches market in near future. Stronger position of U.S dollar had negative impact on tourism, which in turn is expected to negative impact on market growth. Increasing prices of jewellery and watches is one of the factor expected to affect the growth of the market in foreseeable future. Moreover, young generation prefer to spent on electronic products such as mobile phone and fit bands is projected to hamper the growth of market over the forecast period. The jewellery and watches market can be categories mainly into two categories- expensive and inexpensive. The expensive accessories are bought for the special occasions such as weddings and engagements, whereas inexpensive category of products is purchased for daily wearing. The jewellery type is further segregated into gold, diamond, pearl, and others. Gold and diamond jewellery type falls under the highly purchased categories and contributed the highest share in the overall revenue of the market. Gold jewellery is largest type demanded owing to its vivid chemical and physical properties such as ease of fabrication and luster. Recently, U.S. was ranked third amongst the highest gold consuming countries. Favorable economic conditions of the country have given people to spend more on luxury items. 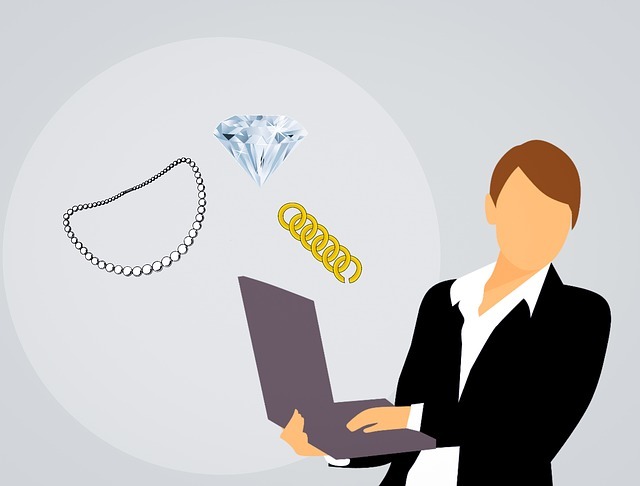 Increasing online sales of high-end fashionable and luxury jewellery and growing popularity of smartwatches over traditional is to serve as the key growth opportunities for the players operating in the market. Moreover, companies the expected to benefit from the increased consumer interaction and affinity by convincing people to buy exclusive products, which is likely to drive the company profits. There are abundant players engaged in selling variety of jewellery and watches in the market. The major players operating in the market consists of Harry Winston, American Swiss Ltd., FOSSIL GROUP, INC., WP Diamonds, and Titan US LLC. Some of the other players functioning in the market include Rolex, Swarovski Crystal Online AG, and Tiffany & Co.
20 November 2018, China Frozen Food Market is expected to be valued at USD 26,492.8 Million by 2024, driven by an increase in the demand of frozen food. Savvy and sophisticated consumers are extremely conscious while making food purchases and are ready to pay premium prices for these products that are made with ethical and good farming practice. This trend is expected to flourish the market of frozen food products in China over the coming years. Growing urbanization coupled with rising disposable income is expected to be a key driver for the rise in purchasing power of frozen food products by local Chinese people. The market in China is on the edge of further expansion owing to the rapid expansion of food outlets along with reduced tariff barriers on frozen food imports by the government. However, highly priced frozen food products from multinational brands are expected to hamper the overall growth in China but sophisticated health-conscious adults as well as teenagers are ready to pay premium prices for the quality provided. Among type segment, Non-vegetarian frozen products account for maximum market revenue share owing to the growing preference and influence of western foodservice. This trend of expanding western restaurant and dishes is expected to rise the demand for imported seafood such as sushi, platters, lobsters, and oysters. Frozen seafood accounted for the maximum market revenue share of about more than one-fourth in the year 2016 owing to China is the third largest market for fish imports and clearly the vital producer in both fishing and in aquaculture. However, frozen potato products are expected to be the fastest growing segment owing to ease of consumption and cooking, followed by frozen meat and frozen ready meals. Though the leading four to five companies account for majority of market revenue share in the market, the competition is intense owing to the presence of numerous local as well as multinational brands. The industry is labour intensive in nature owing to shortage of large-scale investment, however, giant players are shifting towards advanced production equipment to increase the production volume and to minimize the production cost. • Shouguang Hotitol Co., Ltd.